How to Disable Tablet Mode in Windows 10 and Restore Classic Desktop. Tablet Mode, is a feature that is offered in Windows 8 and 10, that makes Windows easier to use when you own a touch screen devices (e.g. a Tablet or a Windows Mobile phone). In tablet mode, you 'll see all the apps on a full screen, but you can't see your usual desktop. The Tablet Mode in Windows 10, many times, is bothering or confuses users, especially if they don't own a touch screen or when they prefer to work using their keyboard and mouse or if they want to see the classic Windows 10 desktop and programs instead of Apps tiles. 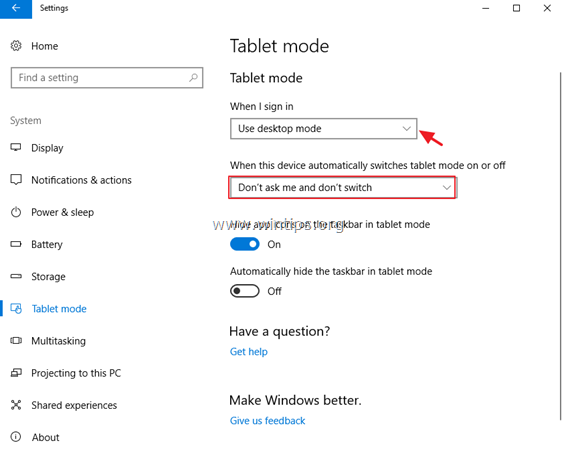 In this tutorial you 'll find detailed instructions on how to turn off the "Tablet Mode" on Windows 10, in order to view the classic desktop and programs. 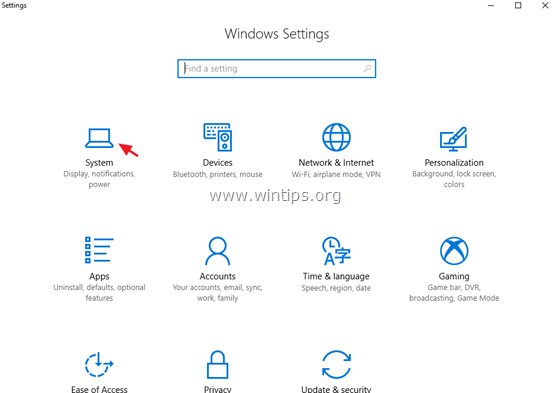 How to Disable or Enable Table Mode in Windows 10. 1. Go to Settings and then click System. 2. Choose Tablet Mode on the left. 3. Under "When I Sign In" select Use desktop mode. 4. Under "When this device automatically switches tablet mode on or off", select Don's ask me and don't switch.